I love a print layered over another print - so complex and interesting! 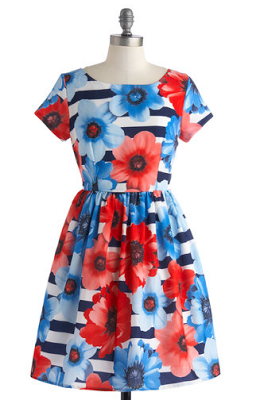 This floral over stripes print is just the thing for summer and will surely sell out soon! 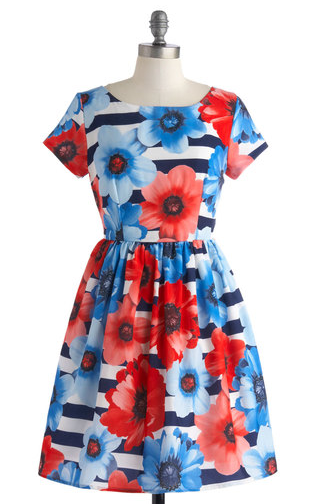 Buy at ModCloth for $83.